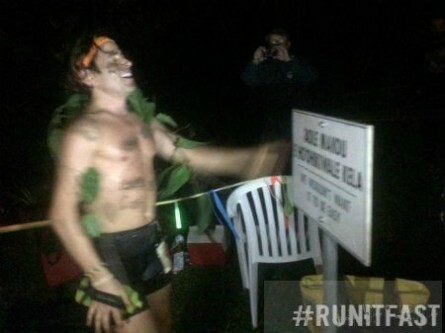 Tag Archive | "The Fruitarian"
Michael Arnstein, ‘The Fruitarian,’ won the technical and tough HURT 100 earlier this morning with a time of 21:29:39 in Honolulu, Hawaii. The Fruitarian was able to hold off second place finisher Alex Nunn, also from Hawaii, who finished a few minutes behind in 21:47:30. Third place went to San Diego native Nickademus Hollon with a time of 22:42:33. First place female was Oregon’s Amy Sproston in 26:22:39.